Everyone at the Sickle Cell Society was deeply shocked and saddened to hear of the death of Simonne Kerr. A long-time member, dedicated volunteer, friend, and recently qualified sickle cell nurse, Simonne was passionate about helping others and will be deeply missed. Police were called to a house in Battersea where she was killed on Wednesday afternoon. Simonne’s funeral will be held at the New Testament Church of God, I79 High Road, Willesden, London NW10 2SD on Friday 19th October 2018 at 10am. Having lived with sickle cell trait and raising a young child, Kavele, with sickle cell disorder, Simonne was dedicated to raising awareness of sickle cell and the importance of blood donation. She was a hard-working member of the Society who volunteered her time to help fundraise and to help run our annual children’s holiday. In October 2015 her son, Kavele, sadly died from complications of sickle cell. 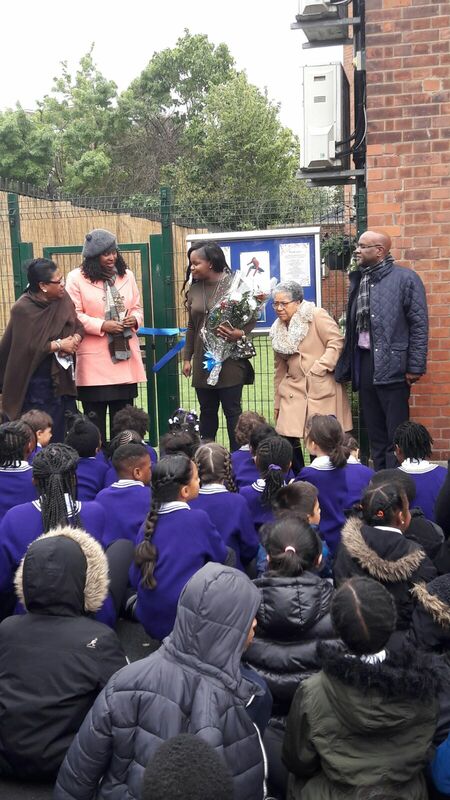 Kavele’s school, Leopold Primary School organised a memorial garden for Kavele. The garden, opened in 2017, was a quiet space for children to reflect and receive counselling. Simonne and the school also raised funds to support the Society in memory of Kavele. We were all delighted when Simonne recently graduated as a registered nurse and started her NHS nursing career in the field of haemoglobinopathies. She loved her job and had a bright career ahead of her. Simonne was also a very talented singer and a member of the Britain’s Got Talent finalist choir, B Positive. Through their spectacular music, B Positive, also raised awareness of the important issue of sickle cell blood donation. The choir’s beautiful music and positive message are a testament to each of its members. We are so grateful for all support and friendship Simonne has given us and for her passion for improving the lives of people living with sickle cell and their families. She will be deeply missed. Our sincere condolences go out to her friends and family. Our patron, Professor Dame Elizabeth Anionwu talked to ITV news about Simonne’s death and why “the world needs to know about Simonne”. You can watch it here.